for Best Global Health Achievement goes to India! As of today, it’s been three years since the last case of polio in India, which means that it’s now polio-free. 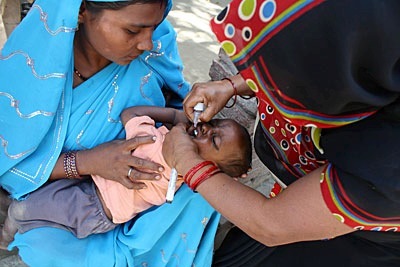 Despite a high population density and birth rate, poor sanitation, and other challenges, India defeated polio. This award is shared among the many organizations that provided funding and expertise, vaccinators that traveled near and far to ensure every child was immunized, and everyone in between. When I saw on Facebook that India was declared polio-free, I was so excited (I love public health, obviously). This is major news! It’s a big deal! Why? Polio is a very infectious disease caused by a virus that invades the nervous system. One in 200 infections lead to irreversible paralysis (usually in the legs). Among those paralyzed, 5% to 10% die when their breathing muscles become immobilized. Polio is spread by person-to-person contact. It spreads through contact with an infected person’s poop and through droplets from a sneeze or cough. About 95% of persons infected with polio will not show symptoms, which means that most people with polio don’t know that they have polio. So, infected persons may not even know that they’re spreading the virus. The goal is to become a polio-free world by 2018. There are three countries left: Afghanistan, Nigeria, and Pakistan. Failure to eradicate polio from these last remaining countries could result in as many as 200,000 new cases every year, within 10 years, all over the world. How can we help make the world polio-free? What can we do? Just by talking about polio, that it’s been eradicated in India, that it’s a devastating disease, and that it’s preventable, raises awareness. 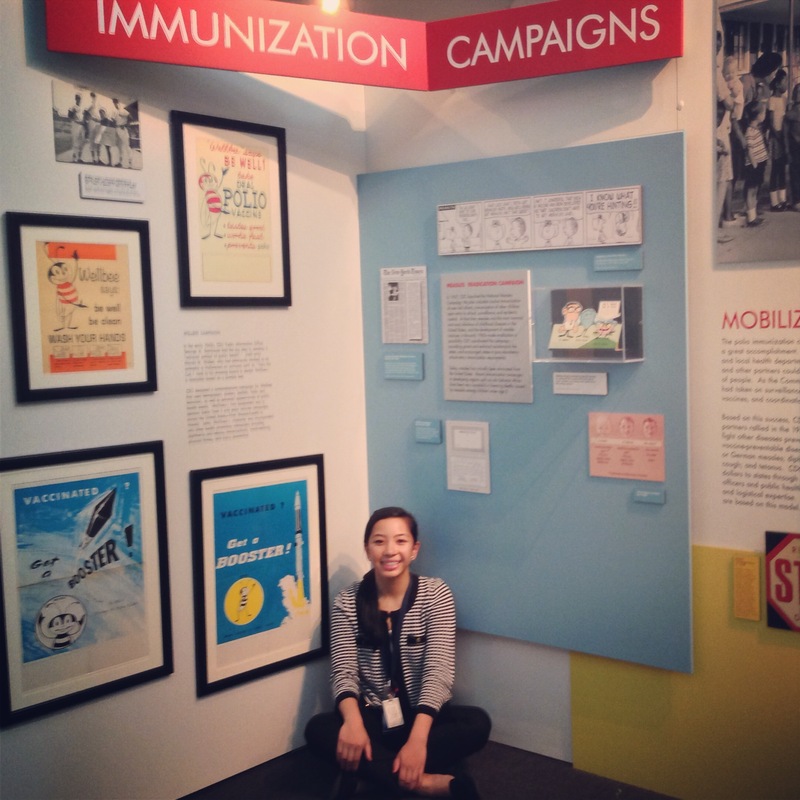 That’s me in front of the immunization exhibit at the CDC Museum. Remember, there are still cases of other vaccine-preventable diseases, such as whooping cough and measles, in the United States. Talk to your friends and family about the importance of getting immunized. Most importantly, make sure that you are up-to-date on your shots!